If GM holds this recall pace, they will hit 12 million vehicles in 2014. That's going to leave a mark on the financial statement. 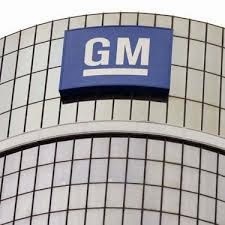 General Motors announced on Saturday morning that it was recalling 490,000 trucks and 172,000 compact cars, meaning the automaker has now recalled about 4.8 million vehicles in the United States during the first three months of the year. That is about six times the number of vehicles it recalled in all of 2013. This year’s recalls involve many of G.M.’s most popular and best-known models. The recall announced on Saturday morning covers the 2014 Chevrolet Silverado 1500 and GMC Sierra 1500 pickups, as well as the 2015 Chevrolet Suburban and Tahoe and the GMC Yukon and Yukon XL with six-speed automatic transmissions. G.M. said a loose fitting for the transmission’s oil cooler line could allow oil leaks and possibly lead to fires. The automaker said it was aware of three fires but no injuries linked to the defect, and officials decided to recall the vehicles within a week of learning of the problem, said Alan Adler, a G.M. spokesman. The compact cars being recalled are the 2013-14 Cruze models with 1.4 liter four-cylinder engines. G.M. said the right-front axle half-shaft could break, cutting power to the front wheels, although the engine would continue to run and the steering and brakes would still function. The company said it was aware of several dozen episodes but was not aware of any crashes or injuries related to the problem.